We are regularly featured on these top TV interior makeover shows..
Senior Design Consultant Martin Chadwick from Wall Panelling Experts has specially designed for the top ITV 60min makeover team. See our Wall Panelling Designs on "You Deserve This House"
The Wall Panelling Experts are proud to be associated with the Princes Trust. 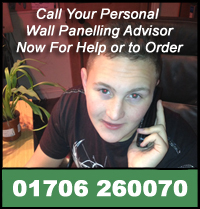 The Wall Panelling Experts have also appeared on the well known BBC1 DIY SOS tv show. The Wall Panelling Experts are avid supporters of BBC Children in Need with BBC1's DIY SOS and top deisgner Julia Kendell. Voted in 2010 the UK's Best Independent Production Co.
Wall Panelling Experts have specially designed and worked with new series Homes for the Brave. Once your panels have been applied to your walls make sure all your panels are dusted down fully and with care. Wait to dry completely. You may need to re-sand any stubborn areas. We strongly suggest you prime again. Apply your top coat with loving care. Use any of the wonderful colours available depending on what look you wish to achieve. Wipe down with a slightly damp cloth. This Means You Get Offered the Best Bargain Prices Possible from Europe’s Leading Wall Panelling Designers, Manufacturers & Installers……. Ps Please keep calling if the lines are busy We would really appreciate it because we want to chat through with you which striking and attractive Wall Panelling design you really want help with to make happen..
A very warm and welcoming message To You from Martin & Carol.